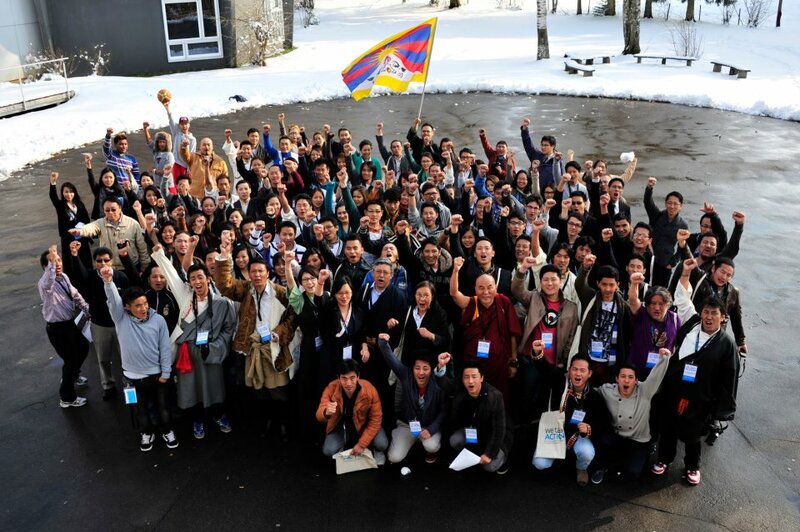 The following was sent in by Sonam Palmo from Switzerland who attended the 2nd European Tibetan Youth Parliament workshops from April 6th-8th. After two productive and intense days, the Second European Tibetan Youth Parliament has come to an end this evening. In this morning’s phase two of the Parliament, the different groups of the three workshops had the time to elaborate their initial ideas from yesterday into concrete action plans. The result of each workshop was then presented in front of all the parliamentarians in the afternoon, which was followed by discussions and the final voting for the proposed action plans. The Official Proclamation of the Action Plan can be viewed in the next few days on this Website in English and Tibetan. The organising committee is very pleased with the results of the Second European Tibetan Youth Parliament and filled with pride and hope to have gathered such a dedicated young generation of Tibetans in exile. The parliamentarians from the nine different European countries return home with a backpack full of new ideas, strengthened motivation and a expanded network of people in the Tibetan community. Hopefully, each individual can transform the created energy into actions for the Tibetan cause. The organising committee is already looking forward to the Third European Tibetan Youth Parliament and would like to thank all the participants, helpers and supporters.